No matter how old you are, VLC Media player is the one name that you have known since a long time as a one stop media player that can play all your media files effortlessly. And for those who don’t know, VLC Media player is an open source media player, famous for playing any kind of media files. If your default media player can’t play it, VLC will definitely do. But do you know that, VLC Media player can do more than just playing your media files? If you don’t, then we are here to tell you every trick that VLC Media Player can do right away. 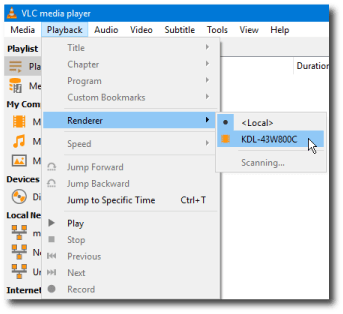 VLC Media Player features a lot of tricks that can simplify the user experience, by eliminating the use of certain third party apps that you might be using for some special tasks. Let’s us dig deep into it. 1- Record your desktop screen. Yes, you heard it right. 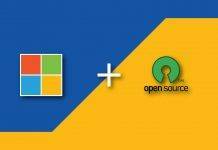 You don’t need a third party software to record your desktop. You can pretty much do the same using the VLC Media Player. 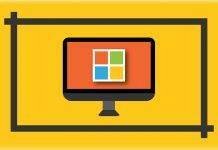 In Convert window, you need to choose a conversion profile. Here choose ‘Video – H.264 + MP3 (MP4)‘, then choose a desired destination to save your recorded file & click on ‘Start‘ to start recording. Once your recording is completed, reopen VLC Media Player from task-bar & hit ‘Stop‘ button to save the recorded file. 2- Record your Webcam video. 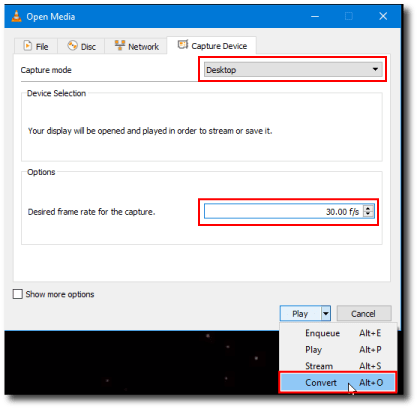 VLC Media Player can not only record your desktop, but it can also be used to record the feed from your webcam with audio. Inside the window, Select ‘Direct Show‘ as Capture Mode & under device selection select the webcam & microphone, that you want to use for the recording. Then go to ‘Advance Options…‘, check ‘Device Properties‘ & hit ‘OK‘. In Convert window, you need to choose a conversion profile. Here choose ‘Video – H.264 + MP3 (MP4)‘, then choose a desired destination to save your recorded file & click on ‘Start‘ to start recording through your webcam. Do note that, you might need to play with couple of settings before the actual recording, since every device has a different set of webcam hardware, with different recording capabilities. Ours can only record upto 10 frames at 720p. 3- Capture screenshot in the video. 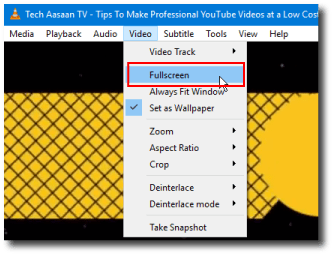 We have already covered various ways to capture a screenshot on your Windows PC, but for capturing a proper frame from a video you might want to use the inbuilt screenshot feature of VLC Media Player. To take a screenshot of the video, pause it & press ‘Shift + S‘ to take the screenshot of that scene/frame. You will see an overlay of screenshot with the path to destination folder & your screenshot will be saved inside the ‘Pictures‘ folder of your operating system. If your Shift or S key isn’t working for some reasons, then pause the video, right click on the video, then go to ‘Video > Take Snapshot…‘ to capture screenshot. 4- Convert your Audio/Video files to any format. If you are using a 3rd party Audio or Video converter on your system, then uninstall it right away as VLC Media Player can do the similar task hassle- free. In the next window, you’ll have to select desired conversion format in profile section & choose a destination folder where you want your converted file to get saved. Once everything is done, click on ‘Start‘ & wait until your file gets converted. 5- Record audio/video played inside the Player. Surprisingly, you can also record the audio/video inside the VLC Media Player. This feature is actually useful when you want to share a certain part of the video or audio to someone. So instead of using a 3rd party software, you can do this directly on VLC Media Player. 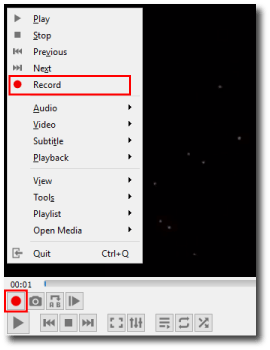 Alternatively, you can also start recording by right clicking on the video & choose ‘Record‘ option from the menu. Also, make sure to pause the video before you start recording, to ensure that you won’t miss any part of the recording. If you are a Winamp (or JetAudio) user, you might remember how they used to allow changing Audio frequencies directly from the UI. Well, you can do the same in VLC Media Player, if you want to game up your audio listening experience. 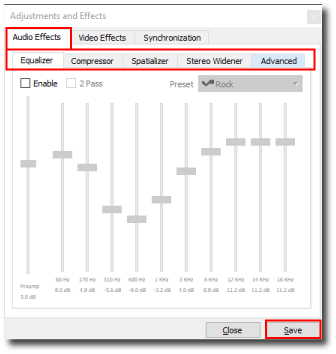 Inside the windows, check the ‘Equalizer‘ box to access the equalizer slider & play around with your favorite EQ setting. VLC also provides you some EQ presets, which you can access from the Preset drop down menu as per your listening preference. 7- Add Logo or Text as watermark in your videos. This is one of the neat little VLC Media Player Tricks, which allow users to add watermarks in their video. Supposedly, you have recorded a video & you want to share it to someone with a watermark, you can do that directly inside VLC Player. Inside that window, go to Video Effects & head over to Overlay tab. Inside overlay tab, you will see a couple of options including adding a logo, text etc., All you need to do is, toggle them on & adding your desired logo & text. After adding both, make sure they are positioned right & you are done. You can see everything in action, if you have a video being played in the player. However, adding watermark alone will not work. Once you are okay with the position of the watermark, hit ‘Record‘ (Check #5) to record the video with the watermark & stop it once it’s done. Now you’ll get a the video with your watermark on it. VLC Media player don’t allow logo resizing. Hence, You are required to choose a small sized logo/watermark, else it will cover the entire video. Want to see the magic of Audio & Video effects in your video in real time? Don’t worry, VLC Media Player has got you covered. 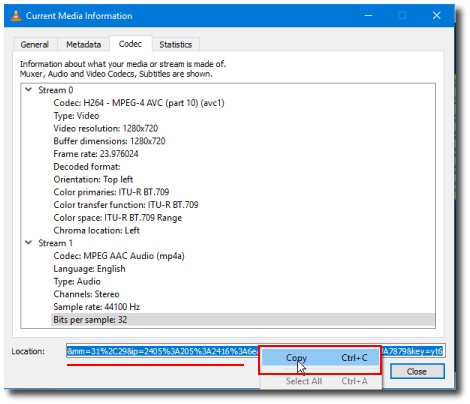 VLC Player has an options that allow users to add predefined Audio & Video effects in their media file. 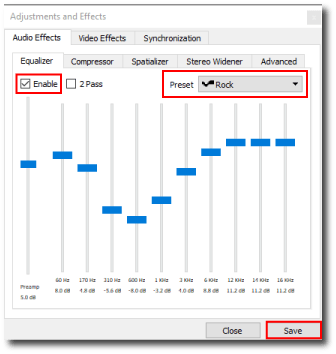 Once you are in the Effects & Filters window, you will see Audio Effects & Video Effects tabs with lots of effects for you to play with. Toggle each effect & try them for yourself. Watching a video with so these effects is fun, isn’t it? If you are someone who just loves seeing their desktop, then this VLC Media Player feature is just made for you. 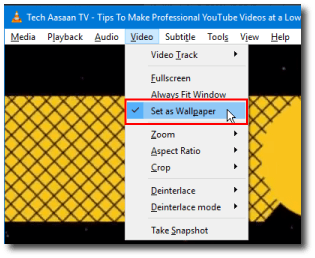 With this feature you can actually add a video as your desktop wallpaper. Play the video that you want to set as desktop wallpaper, then go to Video > Set as wallpaper. Doing this will change your default wallpaper to the video that you are currently playing inside VLC Player. 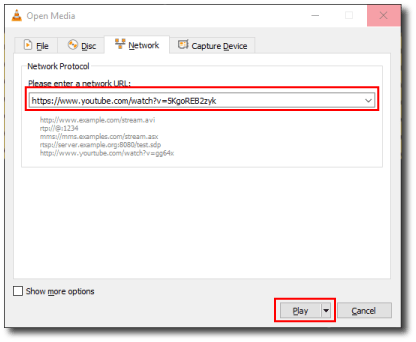 Streaming services are so common these days, if you are someone who is into online video streaming like YouTube then you can use VLC Media Player to watch those streams directly. You can also download them via a trick. In the network stream window, paste the video link that you want to stream/download and hit ‘Play’. This will start playing the video inside VLC Player. Now to download this video file, go to Tools > Codec Information. (or press Ctrl + J) In Codec information tab, you’ll see a link. All you need to do is to copy that link & open it in a browser. Opening link in browser will start playing the video, just Right Click anywhere on the video & hit ‘Save as..” to download the video on to your computer. Video bookmarking is a handy feature that allows you to add a bookmark at some point in a video, so that you can watch the same video later from the bookmarked section without loosing the track of it. Once bookmark windows in open, hit ‘Create‘ to create a new bookmark as the position of paused video & voila, you are done. Now whenever you want to play your video from the bookmarked position, go to Playback > Custom Bookmarks to access all your bookmarks. VLC Player now supports resume feature & will show a popup, whether you want to resume a video or play it from start. At times, you might need to play more than one instances of videos, say for taking notes etc., You can do this via VLC Player, which lets users to play multiple videos at the same time. Open VLC Media Player, then go to Tools > Preferences to open preferences windows. There untick ‘Use only one instance when starting from File Manager‘ & click ‘Save‘ to save your settings. From now onwards, playing a new video from file manager won’t close the video that is already playing. The best video watching experience is when the video is being played in full screen. But by default, VLC player plays videos in a small window & you have to manually make it full screen every time you play a video. In case you don’t know, you can play your video in full screen directly. 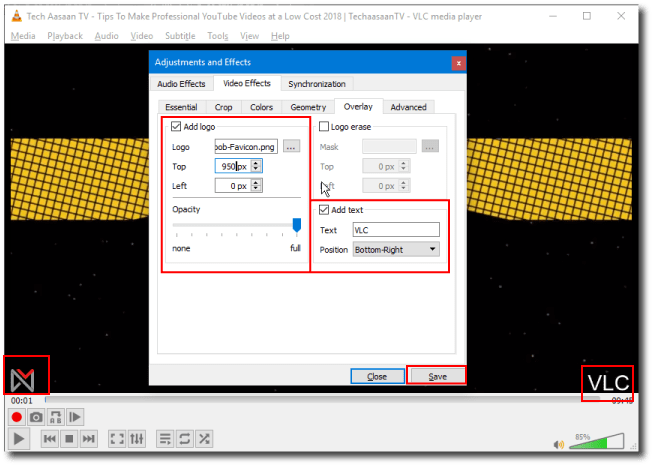 Open VLC Media Player, then go to Videos > Fullscreen to enable the option. From now onward, all your videos will start playing in full screen. To resize the player’s window, you can simple double tap anywhere on the video. Can you imagine that you can also listen to internet radio or a podcast on VLC media player? Seeing so many hidden features, you definitely shouldn’t doubt that. You can use your VLC player to listen to internet radio from various radio station or even listen to your favorite podcast. Open VLC Media player & head over to the ‘Internet‘ section on the sidebar of players window. 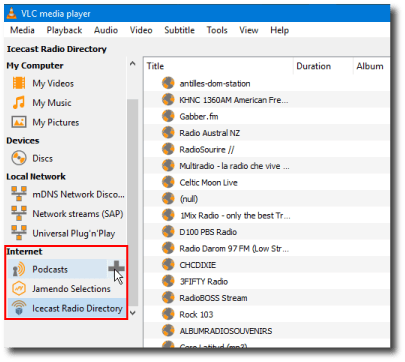 There you’ll find ‘Jamedo Selections‘ & ‘Icecast Radio Directory‘ as default internet radio service. Click on any one of them & tune into the station of your choice from the list of stations. To listen to a podcast, simply hover your mouse over the ‘Podcast‘ option to see a ‘PLUS‘ symbol. Click on that to add the link of podcast you want to subscribe to. Once you are subscribed, you can see it listed in the main window when you click on ‘Podcast‘. 15- Play your media content on your chromecast enabled TV. Another nifty VLC Media Player trick is that it also allows you to share your media onto your chromecast enabled TV. If you’d like take your video on a big screen, you can do that within the player itself effortlessly. Open VLC Media Player & play a video in it. Now go to Playback > Renderer, there you’ll see your chromecast device listed. Click on it & you’ll see your video is being played on your chromecast enabled device. 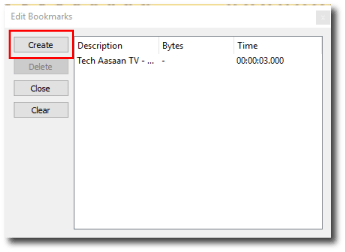 For this feature to work, make sure that your computer & chromecast is connected to the same network. Otherwise, VLC Player will not show your Chromecast under ‘Renderer‘. If not a wizard, VLC Player is nothing less one. And with this, we are summing up all VLC Media Player tricks & feature that we find useful. 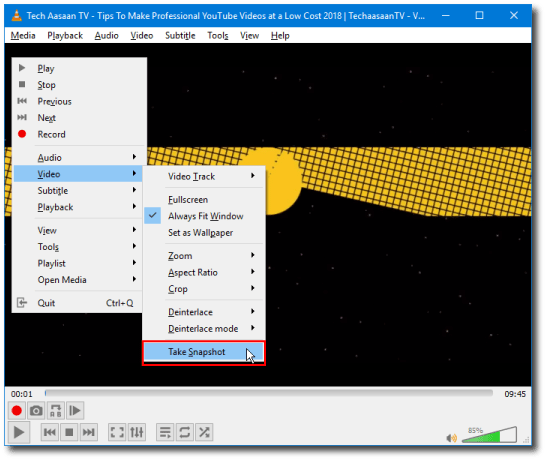 We’ll add more VLC Media Player Tricks & Features that we find pretty useful in future. What do you think about these features? 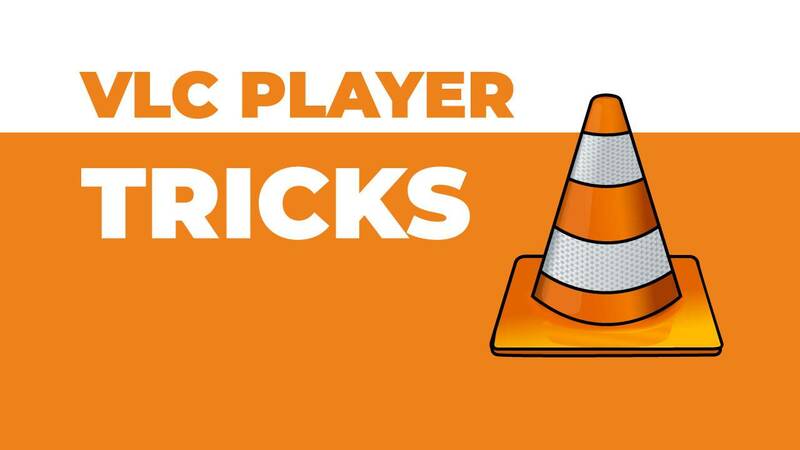 How many VLC Media player tricks do you know? 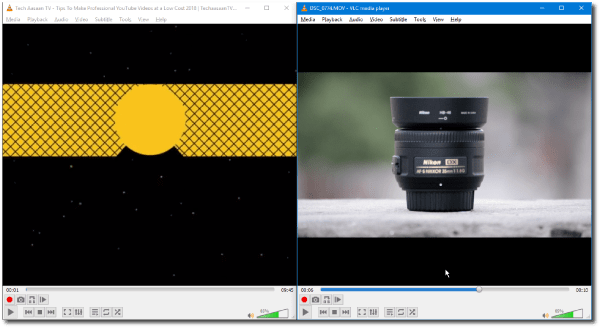 Which VLC Media Player tricks or features do you find very useful? Do let us know via a comment. Previous articleYoutube App for smartphones gets Autoplay on Home feed!